– Is Porinju Veliyath Likely To Launch A Raid On This “Chor” E-Com Micro-Cap Stock? 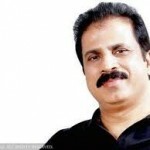 Porinju’s recent success with his stock picks, his being crowned a “wealth wizard” by Forbes and the revelation that he manages a fortune of Rs. 220 crore which is growing at an incredible CAGR of 32.9% means that his fan following has been growing by leaps and bounds. Porinju’s following on twitter has crossed 10,000. This is quite an achievement when you consider that the other stock gurus like Prof. Sanjay Bakshi and Samir Arora are lagging behind in the 8000-9000 follower mark. The reason for Porinju’s popularity is easy to see. He keeps up a cheerful banter at all times, reminding people of the great success that his stock picks have had. “Mirza up 220% in 12 months – Look for ‘micro-caps’, aspiring to enter mid-caps club – hundreds of them waiting!” Porinju exclaimed, much to the excitement of his followers. “Saregama up 100% in 3 weeks since suggested it on @NDTVProfit” and “NIIT up 50% in few weeks, most people thought it is a bad business” he added, sending his followers into rapturous joy. Porinju has also developed a liking for e-com stocks after the blockbuster gains that he got out of Palred Technologies and Izmo (Logic Microtech). 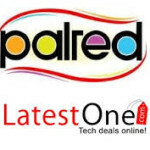 In just a short period of a couple of months, Palred is up more than 100% and Izmo is up about 45%. Porinju hinted that the next object of his attention could be Archies Limited, the ultra micro-cap which has revamped its business and is planning to go online in a big way. Incidentally, Archies was recommended by Microsec in September 2014. Microsec advised a buy on the basis that Archies is a “renowned and leading company in the Social Expressions Industry is all set to grow with its revamped business model with its strategy of going online”. It also stated that its “rating underpins the company’s focus on the new model with core brand strategies in place”. Microsec also drew attention to the fact that Archies is the leader in the “social expression” industry and that it has a “strong brand with inexpensive valuations”. It also claimed that Archies has “strong growth visibility in online shopping” and that “Company is likely to bounce back in sales of traditional products”. Microsec recommended Archies when it was at Rs. 21.55. Today, the stock is at Rs. 26.30. This means that gains of 22% are on the table. Microsec’s target price for Archies is Rs. 37, which is a whopping 71.7% from their recommended price and 40% from the CMP. If Porinju does decide to live up to his tweet and channelize some of his Rs. 220 crore into Archies, the stock will have no trouble breaching the target price that Microsec has set for it. 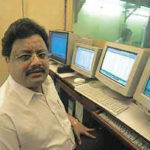 There must not be any comparison between Prof. BAKSHI and PORINJU on the ground of followers. 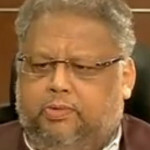 I am a strong follower of PROF. BAKSHI but I dont have a twitter account. Please tell, how can we check, how much quantity bought by Mr. Porinju on particular day. I mean is it any way to know his buying and selling details. PORINJU VELIYATH has bought ARCHIES.I’ve heard about it. 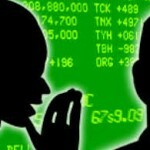 Could you please post an Article on Archies regarding his Buying Price and his trends. On the basis if discussions I want to take a trial pack and then decide. What is the opinion of other members who are divided in two parts.